“Best practices” and “event planning tips” come in all shapes and sizes. Here at Guidebook, we share a lot of strategies for planners from tech tools to try, sponsor package ideas, and specific event marketing timelines. But there are some fundamental strategies that never go out of style. While we work to include these in our plans every time, they can be easy forget. If there’s one event planning tips article you read this year, let it be this one! We asked 5 industry professionals from all ends of the spectrum to give us their top event planning tips. As you build the agenda, keep a dialogue going with your audience. “The last thing you want is to throw a conference, then find that there’s no interest in the topic,” says Romy Yan from PRIME. The best way to keep in touch with your audience? Survey them at the beginning stages of the event. PRIME is a Vancouver-based full-spectrum events agency, handling clients and events of all types and sizes. 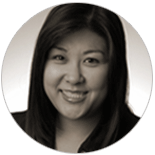 In her current role as Client Services Manager, Romy leads a dedicated operations team and serves a diverse portfolio of clients as account manager, and she contributed several key event planning tips to the Professional Event Planning Guide. 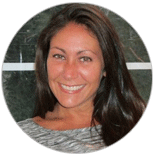 Highly organized, with outstanding negotiation skills and a great customer service focus, Romy also trains and guides the Project Coordinators, and oversees all elements of the registration and housing databases. In her spare time however, Romy loves to show off her baking skills and will often share her cupcake creations with her coworkers! Why do the work of telling your event’s story when your audience and event insiders can do a better job? It’s easy to set your fans up to tell the right story. You just need to call upon them, keep them accountable, and make it easy for them to share. Whether you’re promoting social sharing on-site or identifying sharing ambassadors like live-bloggers, make sure it’s easy for everyone to use the same hashtag. One of our favorite event planning tips: pre-fill your event’s Twitter hashtag into your mobile event app. This way anyone tweeting with the app will automatically use the same hashtag. Bend WebCAM is a digital marketing conference in Bend, Oregon, with a reputation for their attendee experience, world-class speakers and attention to detail. 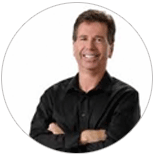 Mark has worked in the software industry for 25+ years. Some of the clients he has had the pleasure of working with are Jeld-Wen, PacifiCorp, Premera, Multnomah Publishers, Bend Research, adidas Golf USA, Utah Power & Light, Les Schwab Tires, and many more. 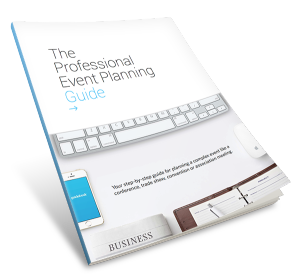 He’s also one of the major contributors of event planning tips to the Pro Event Planning Guide. We all know that running a show on-site is hectic and there are a million surprises. When we spoke with the pros, a lot of the event planning tips centered around how to keep the show running while checking in with key contributors and partners… and still find time to interact with attendees. The answer? Dedicating yourself to circulating–with help from some great technology! Circulate the event space. Check in with sponsors and speakers. Chat with guests about the experience. You will get the best idea of the event’s efficiency and experience by making the rounds. In addition to a headset for communicating with your internal team, use your mobile event app’s push message capability to send urgent updates to all attendees. A session has been reassigned to a new room? You need everyone to get to lunch NOW? No problem: a push message will appear on attendees’ mobile devices instantly. Mark Knowles tries to circulate as much as possible. He looks for cues that someone might have a question or a concern. “It’s all about the facial expression,” he says. “I just step in and ask if they need anything.” This gives Mark a unique view of the conference and creates a memorable experience for the attendees and speakers. He even got an Oregon server’s permit so he can jump behind the bar and serve up Bend’s craft beers. with attendees, prompt them to complete an in-app satisfaction survey. This will help prevent you from getting roped into a long conversation about feedback when you need to be moving on, and it will give you the ability to follow up personally. industry since beginning her career in 2004, and has spent the majority of that time with the GO! team (which is why we reached out to her for event planning tips–she has a TON of experience). 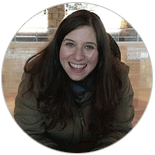 As producer, Dayna manages a project’s development, with primary responsibilities in budgeting, scheduling and personnel management and client/team communications. We’re so lucky to know these incredible event pros. Their contributions go beyond the event planning tips in this article: we took what Dorian, Mark, Tracy, Romy and Dayna shared with us and included it in this free 70-page ebook, the Professional Event Planning Guide. There’s so much more to learn from them–download the ebook now! The key to repeat event success is keeping the conversation going–and making it a two-way street. All of the planners who offered event planning tips covered this topic. Tracy Robey’s event, the RSA annual meeting, hosts some members who have been in the society since the 1950’s. But many of her attendees are young and extremely tech savvy. How does she communicate to her very disparate guests, making them happy and excited for next year’s event? “For newer members, it’s important to pay attention, and to let them know you’re listening and willing to change,” says Tracy. She has seen success from responding to social media outreach and survey results, and sharing details about how the event plans to adapt. For older members of the RSA it’s all about upholding traditions. Tracy’s strategy for that portion of her audience includes a post-event email focus on the closing dinner, a long-held tradition. Tracy will grow the event each year because she knows her audience, understands what they look forward to, and communicates about those elements in the follow-up campaign! Tracy has a PhD in Renaissance Italian History and worked for seven years as a university teacher before joining RSA in 2013. In 2014, Tracy managed the society’s conference for 3,000 attendees in New York City. When not at the office Tracy serves as a historical consultant in the entertainment industry, listens to pop music, and enjoys just about anything made out of glitter. 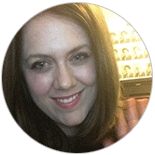 Our video chat about event planning tips was highly entertaining, because Tracy is hilarious and super, super smart! Dorian handles the strategy and execution of MasterCard events and meetings that help facilitate education in the world of security, fraud and risk. During the past 14-years at MasterCard (time flies when you’re having fun! ), Dorian Tomace has served within the Global Brand Marketing, US Merchant Marketing, US Issuer Sales and Franchise Development departments, and is currently leading global risk education for issuers, acquirers, processors, merchants, governments and regulatory partners. Dorian keeps active by teaching Zumba classes, unwinds at the beach whenever possible, and if you ask her, she’ll share her event planning tips! Feel like you’re brushed up on event planning, and ready to get started on building the event app your attendees will love? Get started by clicking below!